This beautiful vintage glass bead & paste necklace is by Miriam Haskell. 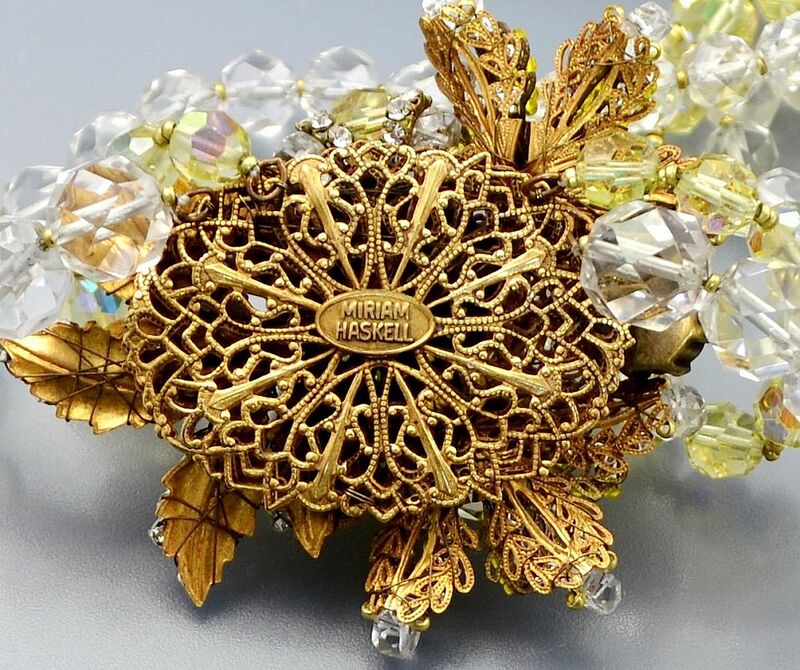 Made in the 1950s - 60s it has a central section of citrus yellow and white glass beads and paste flower heads and leaves surrounding a large citrus yellow resin cabochon. There are two strands of facetted glass beads, one in pale lemon and the other in clear glass. 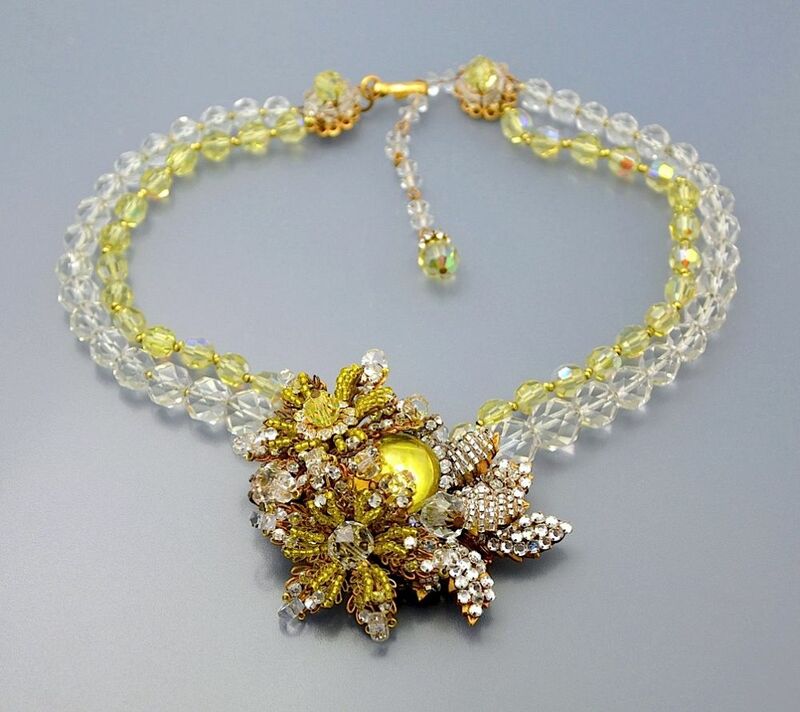 Each double strand ends in a flower head of facetted clear and lemon glass beads and a hook and faceted bead adjustable fastener. This is a piece that you dress up or down and it will still look wonderful.